Freeport West has been developing, leasing. 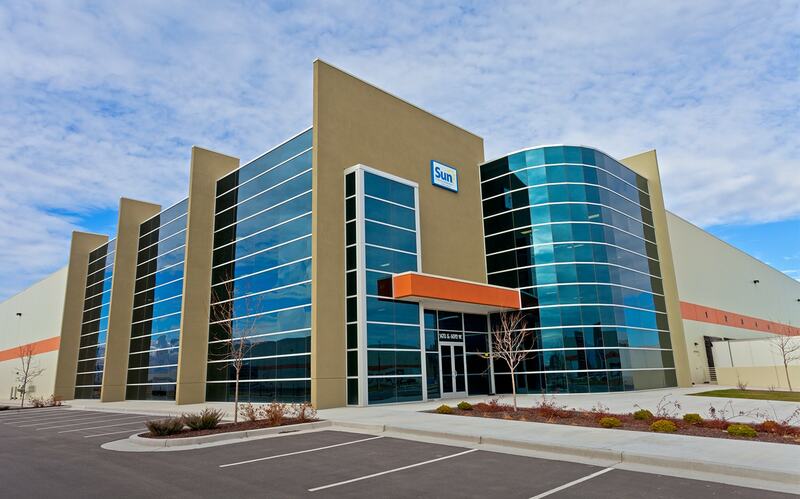 and managing commercial industrial properties and warehouse distribution centers in Utah since 1963. 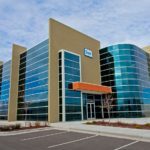 Big-D had performed construction work for Freeport West in the past, but our work on the company’s Landmark development has spanned eight years and almost as many building projects. 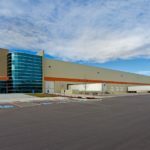 The Landmark development, which is located minutes from downtown Salt Lake City and the Salt Lake International Airport and close to several major trucking routes, is an important set of properties for Freeport West. 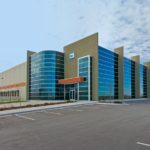 During the past two years, Big-D has helped Freeport West round out its industrial park by constructing four large warehouses, one of which is Building 7. For these four buildings, we did not perform earthwork, site work, or utility work. These buildings use concrete tilt-up shells, steel interior columns, joist girders, and trusses, metal deck roof, and TPO roofing over rigid insulation. 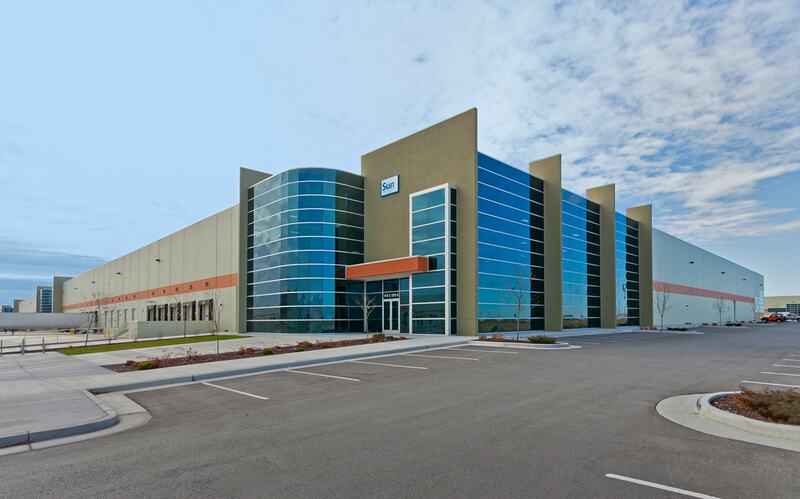 The building entrances, which use radiused glazing, canopies, and EIFS accents, keep the look of the industrial park consistent. 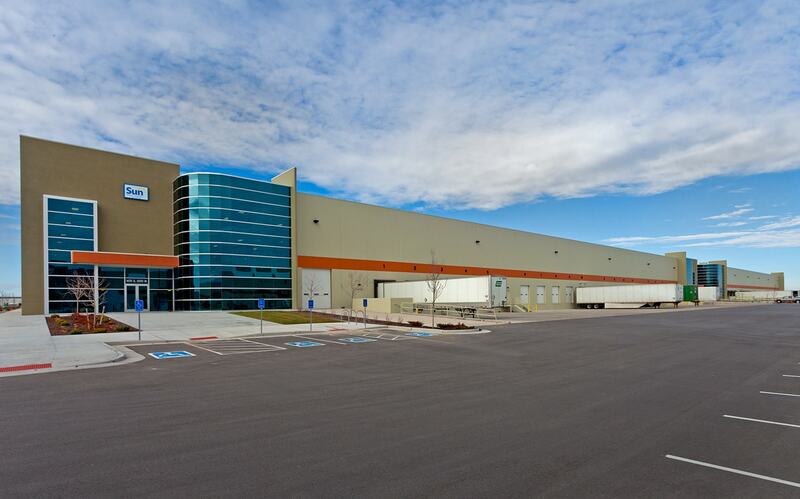 This core and shell building features six ground-level doors, 80 dock-height doors, onsite trailer storage, ESFR fire sprinklers, and a 32-foot clear height. The temperature-controlled warehouse has eight heating and ventilation units (HVUs) and uses high-efficiency florescent lamps as well as natural light from dozens of skylights. The 29.74-acre site includes 382 parking stalls.